At Mischief Management events, some of our best programming is created by our attendees. And now it’s time for you, the biggest Harry Potter fans in the world, to share your knowledge and passion with the rest of LeakyCon! 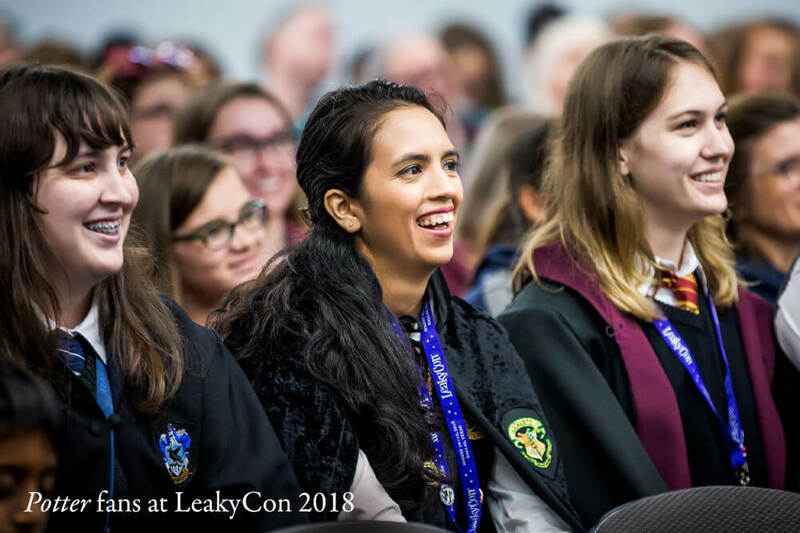 LeakyCon is seeking magical folk — from Quidditch players to Ministry officials — to give presentations about the Wizarding World and all related subjects at both LeakyCon Dallas and LeakyCon Boston. Do you have a presentation, paper, panel, workshop or headcanon about the Wizarding World? Topics could range from “Hogwarts in the Era of the Marauders” to “Predictions for the next Fantastic Beasts film” to “How Potter Fans Are Changing the World.” We welcome all kind of proposals from informal discussions to formal academic presentations. Be sure to read the guidelines below before submitting a program proposal. If you have any questions regarding programming, please send your queries to [email protected]. Is there one format I have to follow? Does it have to be a panel? Helpful hints: a panel consists of 3–5 people with a moderator who leads a discussion, and is often followed by a Q&A session with the audience; a roundtable consists of 4+ people discussing a topic amongst themselves as an audience listens and sometimes chimes in; a lecture consists of one or two people speaking to an audience. Can I create a panel where we bring on a celebrity? No, we’re sorry! These are programs that LeakyCon attendees develop on their own, we won’t be able to facilitate celebrity guests for you. My presentation works best as a PowerPoint. Will I have access to a projector? If your program idea is selected, LeakyCon will work with you to make sure the room is set up for your panel. Most programming rooms will have a basic audio package, including microphones, and a few will have projectors. What if I’m not registered for LeakyCon? LeakyCon presenters will be given a complimentary day pass for the day of their programming. If you have already purchased a registration, our team will be in touch to adjust your registration following acceptance notices. Email us at [email protected] and a member of our programming team will get back to you as soon as possible.